A little bit of structure is beneficial for anyone, I think. But when it comes to individuals with autism, I would argue that there is a need for routine and consistency. 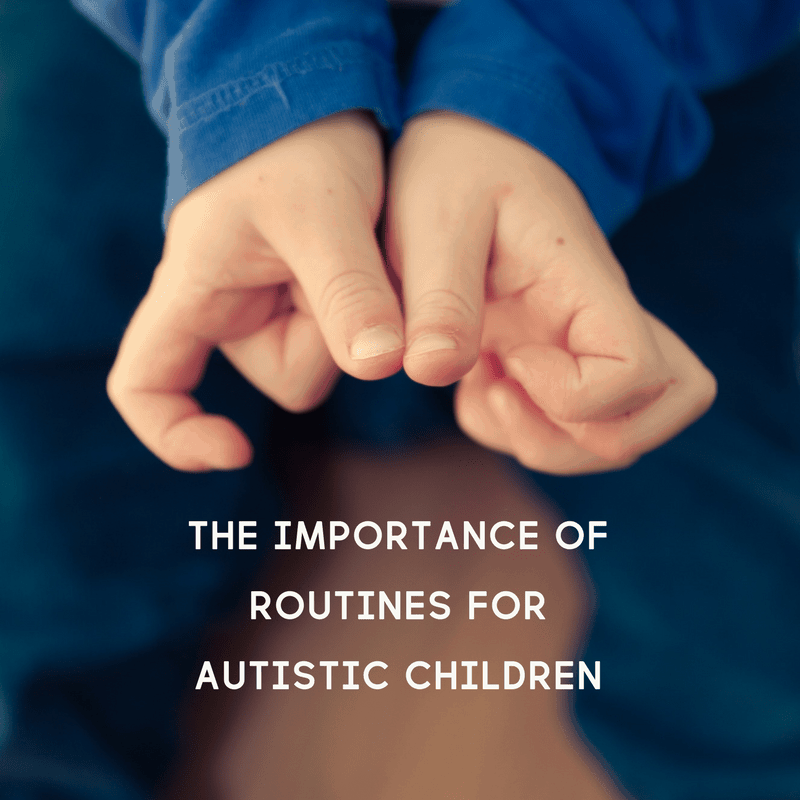 That’s why we’re talking about the importance of routine for autism in this post. Beyond that, we’re going to talk about how to establish routine and structure in small steps so that it becomes habit. This is important, not only for your child, but also for you so you can create a functional environment that works for your child and not against them. There’s nothing wrong with a little structure and predictability in life. Personally, I prefer having a schedule or at least some sort of established routine. I do like leaving myself enough room for something last minute, but for the most part I like knowing what’s going to happen or how my time is being used. This need for structure and routine also holds true for my autistic daughter, if not more so. In fact, she thrives with structure and routine and having a predictable schedule has become almost necessary for daily life. 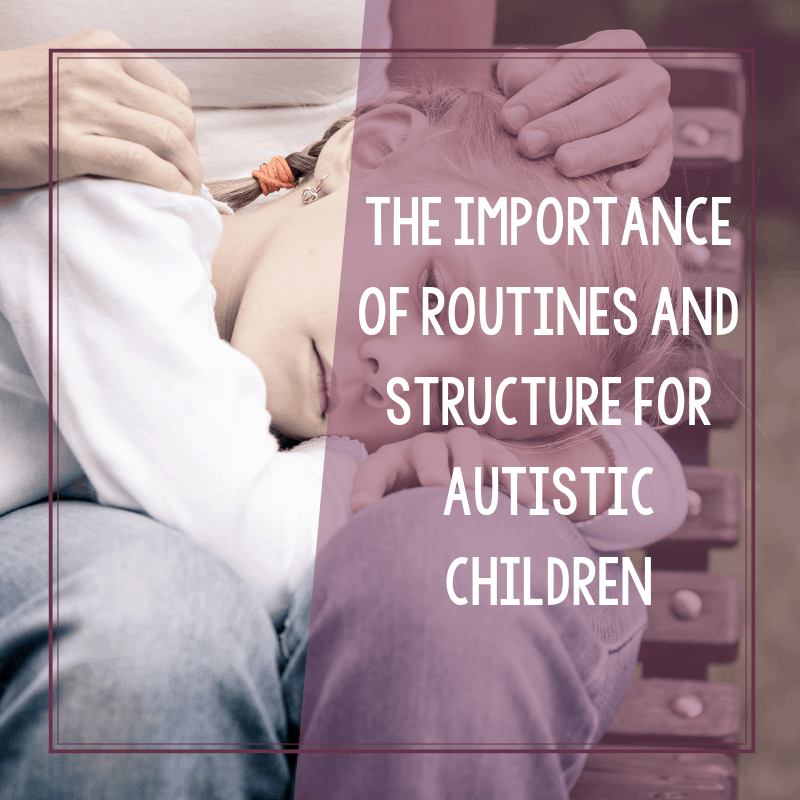 Autism routine and structure– and let’s be honest, who couldn’t benefit from a little more structure? Why do schedules work so well for people with autism? Schedules can be beneficial to any child’s life. This is especially true when dealing with a child of special needs like autism. Having a schedule will help the autistic child feel a sense of structure. Children with autism often have anxiety issues they are dealing with. Having a schedule helps the levels of anxiety to drop. They know what to expect on a daily basis. They know at a certain time of the day what they will be doing. If there is no schedule or structure in an autistic child’s daily life things will be very hectic. An autistic child may have several doctors and therapist appointments a month. Sometimes there will be more than one appointment a day. Keeping a schedule can help you and your child to make sure they do not miss any appointments. Having a schedule and routine just might make life easier for you in the long run. 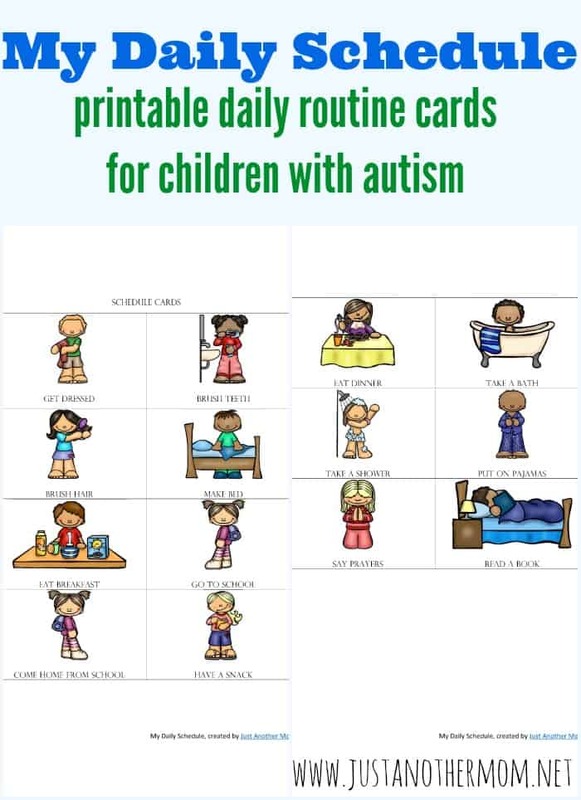 Some autistic children have trouble with reading but you can always use a a visual schedule to help with that. You can use a visual schedule. Have pictures for all the daily activities. This allows them to see what is coming next. 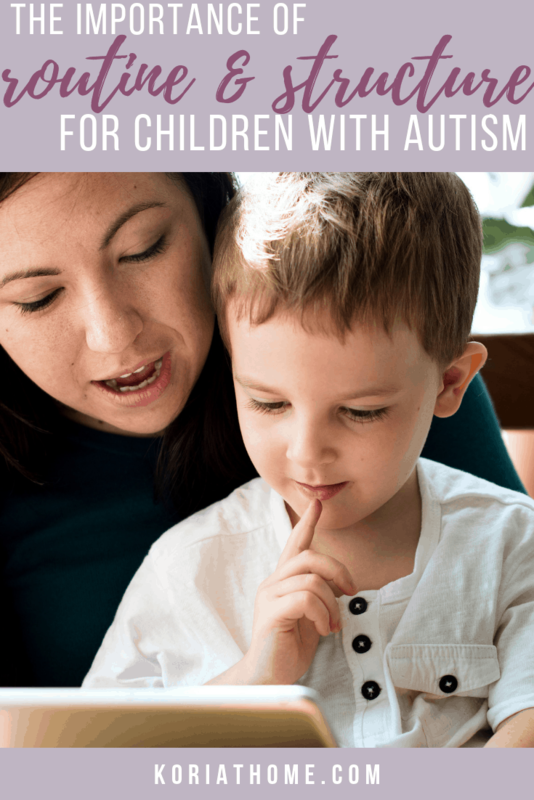 Having a schedule for your autistic child will help avoid some breakdowns. Keep the schedule posted where your child can see it. If you have to change the schedule explain the changes to your child. Autistic children like routines, and a change could throw their whole day out of whack. The printables in my Visual Schedule toolkit are perfect for this! For an example of this, take a look at my Daily Routine printable schedule. This was designed with autistic children in mind. Why is routine important for autism? You can pair this with my homeschool cards or with my bedtime routine cards. I have more ways to use these to create your own PECS binder at home. I’ve also created a set of cards for preschool students and hope to have those ready for you by next week. These are just a few, but probably some of my favorite, free printable resources that I’ve made so far. Schedules can also be helpful when trying to get the child to do something they do not want to do. Simply show them that after they do this they will get to move onto something else. Tell them they cannot move on until this activity is completed. Of course, you may run into some resistance. But that would be expected with almost any child. There will always be things that come up and while you may not always be prepared for it, having a schedule and structured routine will help. Try to stick to the schedule as much as possible to create a functional and predictable routine. When things come up try to get back on schedule as soon as you can. This includes weekends . If your child is used to getting up at seven in the morning continue to do so. Keep their bedtimes close to the same time each night. Your autistic child will be happier when they have had enough sleep. Something like this would work well with My Personal Schedule printable pack. This allows the child to know what is going on during the day assuming that they aren’t in some sort of school setting. Include doctors, or therapy appointments on the schedule. An older child can still benefit from a schedule. It has to be adjusted for school time, and any extra curricular activities. You can include homework time, and chores into the chart. Once you start using a chart for your autistic child you will see a improvement in the flow of your day. This also leaves little time for boredom. There is always something planned to do. 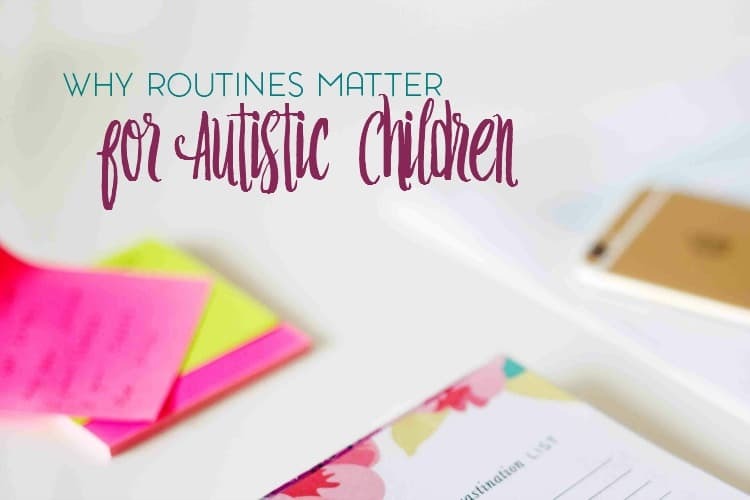 Schedules, routines, and structure help make the world a little more predictable and manageable for your autistic child. And let’s be honest, it can also help you in the long run.